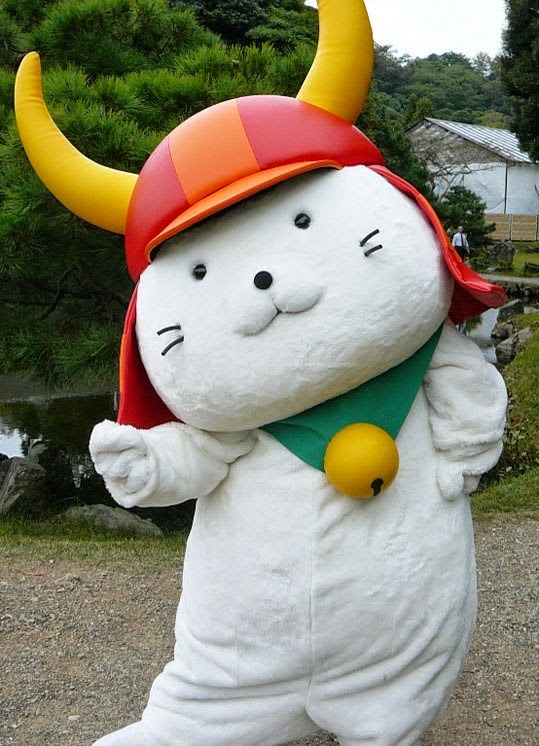 As Japanese people or anyone who spends a bit of time in Japan knows, Japan loves Mascots! Regional Mascots, Local Mascots, Company Mascots, Team Mascots; anything you can think of, there's probably a mascot for it in Japan! In Japanese they're called ゆるキャラ ("Yuruchara" / Yuru-kyara) which is a combination of the word "yurui" (緩い) meaning soft or loose association and of course the word "character." Current estimates acknowledge well over 2000 registered yuruchara in Japan, but the actual number is probably much higher than this. 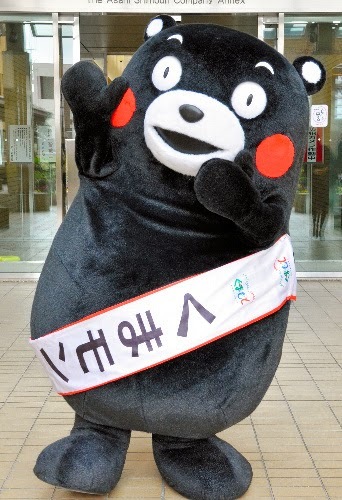 Here, mascots are important enough that there's even an official election annually for nation's regional mascots and a general yuruchara ranking! Most yuruchara are relatively unknown to the masses and are seen only by people with close ties to the places, products, etc they represent. Take the cover photo from this post for example. These characters are the Bun Rangers (BUNレンジャーズ), mascots for Bunkyō City, Tokyo. Despite having lived in Bunkyō City for over a year, I have never seen them before and only recently became aware of them after coming across their photo while searching for some unrelated info on the internet. On the other hand, some yuruchara achieve a considerably high level of fame and recognition nationwide and even around the world. Most of my readers are probably familiar with Domo-kun (どーもくん), for example, the mascot for Japan's National Broadcasting Company, NHK. 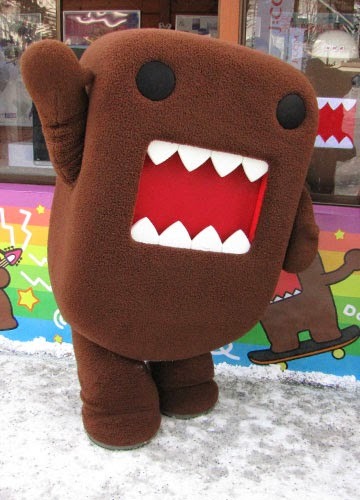 Domo-kun has been popular in America and Europe for a long time, and in 2009 there was even a special run of coffee cups and slurpee tumblers featuring Domo-kun's likeness at 7-11 stores in the U.S. Other mascots like Hikonyan (ひこにゃん), the mascot for Hikone City (彦根市) in Shiga Prefecture (滋賀県), and Kumamon (くまモン) the mascot for Kumamoto Prefecture (熊本県), have websites and Facebook pages with a huge following both in Japan and overseas and even have English-language wikipedia pages. 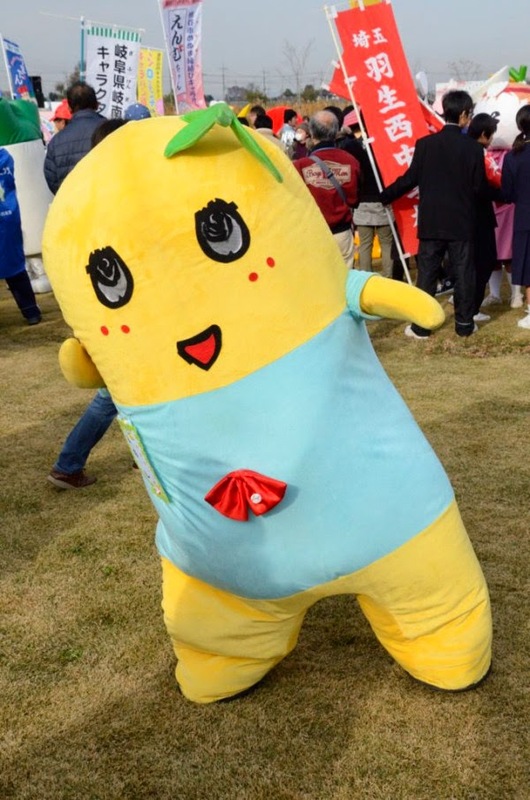 Recently, Japan is literally crazy for Funassyi (ふなっしー / foo na' shee) the UNofficial mascot of Funabashi City (船橋市) in Chiba Prefecture (千葉県). His name is a combination of "Fun" from Funabashi City and Nashi (梨) meaning "Japanese Pear" because Funabashi is a well-known producer of the fruit. The lack of official recognition has not stopped Funassyi from achieving national stardom (perhaps it's actually helped?). Well-known for his hyperactive, almost-insane antics, he regularly appears on TV commercials as well as variety and quiz shows alongside our most well-known and beloved TV personalities. Funassyi themed goods and products have also enjoyed unprecedented sales nationally. 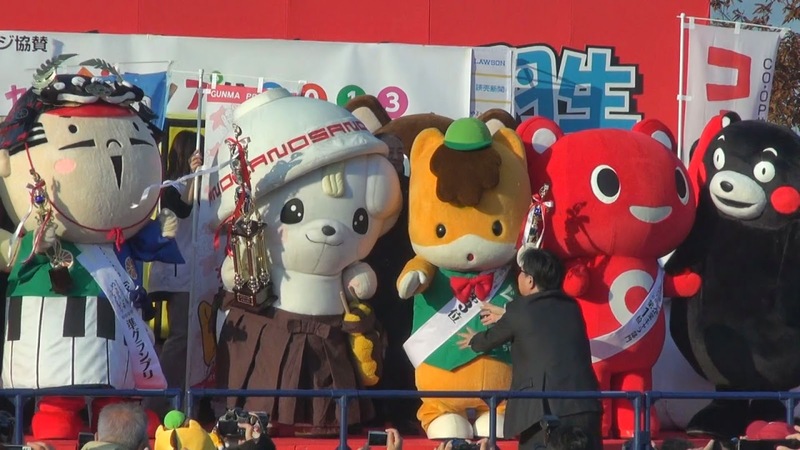 Last year Funassyi won 1st place in the 2013 Mascot General Election held in Tokyo. I can't think of a better way to close this post than with this video of Funassyi. Enjoy!